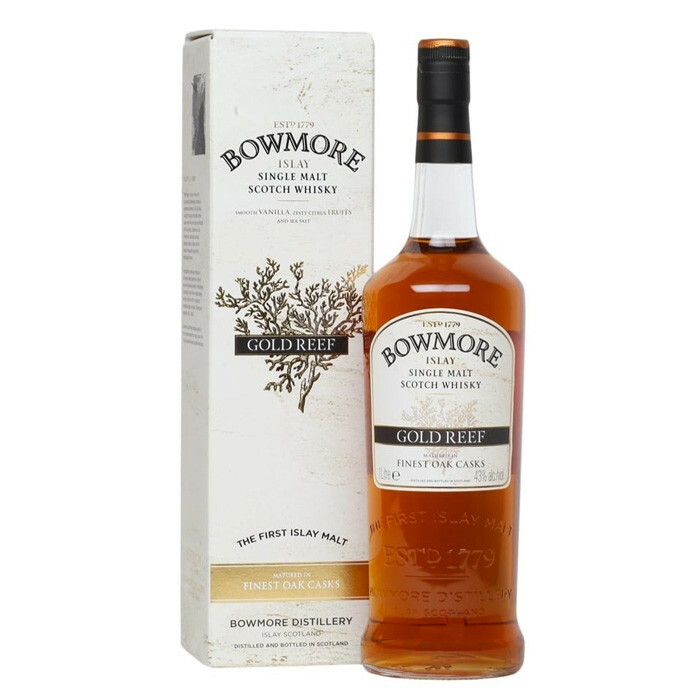 Bowmore Gold Reef was released for the travel retail market in 2014. A No Age Statement whisky that was matured predominantly in first fill ex-bourbon casks, this is a coastal whisky with tropical fruit flavours. Nose: Sea breeze with salted butter, mini Bounty bars, orange zest and peat smoke. Palate: Peat is more noticeable on the palate, but the creamy vanilla never gives up. Tropical fruits and honey'd barley. Finish: Medium length with honey and lemon.